Where On Earth Do I Begin? Most role models don’t seek to play the part. Just ask Charles Barkley. But when you’re recognized for your gifts, sometimes it just goes with the territory. There are legions of savvy investors who study Warren Buffet and try to copy his investing strategies. They pore over his annual Berkshire Hathaway newsletter to see what he’s investing in today and thinking about tomorrow. When it comes to advances in the internet, people follow Chris Anderson, and read his publication, Wired, cover to cover. For others, it’s Oprah Winfrey. Or maybe Tim Tebow. If you want to learn how to impact a community and reach the less fortunate, I’d suggest you keep an eye on Don Campion… if you can find him, since he’s usually on the fly. Literally. 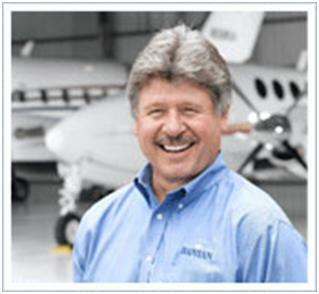 Don is the CEO of Banyan Air Service, a South Florida aviation company, offering aircraft sales and comprehensive ground and technical support to business aircraft. By any measure, Banyan has been successful, having grown from three employees when the Company was founded in 1979, to one hundred-seventy today, operating within seven different departments. The phrase is appropriate, because there is so much to say about Don and his profound impact on other people. Trying to distill an explanation of his influence into a simple sound bite is like trying to describe the history of the Middle East conflict in a couple of sentences. The phrase is also appropriate because Don’s impact isn’t reserved for one industry or one location. He’s changing lives all over the world. Don’s Facebook profile includes something that I’ve seen on very few profiles: a declaration of his purpose. Don describes his personal purpose: to glorify God, love others, and make a difference. When you put something out there for the world – or at least your friends – to see, it creates real accountability. If it’s not just important to you, but is your life’s purpose, how are you doing at it? Judging by his involvement, and his impact, I’d say Don Campion is doing quite well. Don was born to missionaries in a remote area of Nigeria called Egbe. Don’s father was a doctor and his mother a nurse, and along with other missionaries, they built a hospital in the village called Egbe in 1952. Over the years, the hospital had a tremendous impact within the region, in terms of delivering healthcare services, training doctors and nurses, and evangelizing locals as part of the ECWA (Evangelical Church Winning All). In 2008 Don’s parents were unable to attend a celebration of the 100th anniversary of the first Christian missionaries in the area, so Don and his wife, Sueanne, attended in their place. Don saw the hospital his parents had built, which had been treating more than fifteen thousand people a year, had fallen into a woeful state. Licensed doctors were no longer practicing there. The buildings were falling apart. Don estimated that within a year, the hospital would have to be closed permanently. 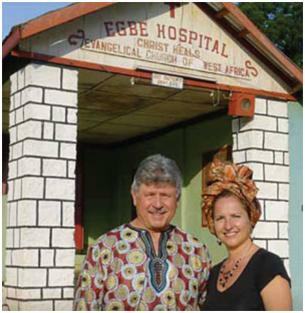 Soon after their visit, Don and Sueanne started the Egbe Revitalization Project, to update, remodel and rebuild the buildings, recruit the necessary medical personnel, and replace medical equipment. Don’s sister, Betsie serves as the Project Coordinator. Progress is being made, although much is left to do. So far, over 100 volunteers (plumbers, electricians, roofers, masons) have come from the USA and Canada to serve for periods of two to twelve weeks. In addition, seven shipping containers have arrived, water supply has been restored, satellite internet installed, and the medical and spiritual needs of local Nigerians are being met. In the process, God is being glorified. The reaction by the Campion’s isn’t surprising. When Don decides to get involved in something, he doesn’t just write a check or say a few kind words of support. He’s all-in. His time. His resources. His Company. His heart. 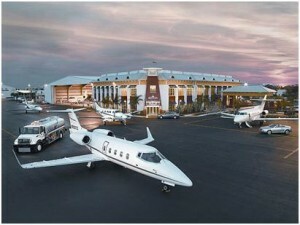 Immediately following the earthquake in 2010, Banyan coordinated more than 400 corporate and private aircraft flights to Haiti and arranged free transport for more than two thousand medical personnel. 4 Kids of South Florida – operates with the mission to extend “A Home to Every Child in Crisis” through foster care, safe houses and independent living homes. Sheridan House -provides services to children and families, through: residential care to middle school-aged boys and girls with behavioral and emotional issues; clothing, transportation, education and training for single moms. His Caring Place – is a licensed teen maternity program that offers love and guidance to young women struggling with crisis pregnancies. Challenge Air for Kids & Friends – provides a flight experience for special needs kids. 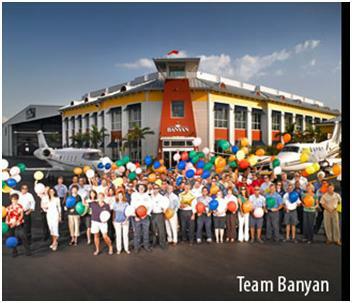 Banyan has organized a “Fly Day” in Fort Lauderdale for the last fifteen years. Friends say that Don is a lifelong learner and he tries to get better at what he does – every day. He’s been a member of Vistage, a CEO roundtable, for 18 years, where he is challenged and held accountable by a group of CEO peers. He is also a participant in Lifework Leadership, an organization devoted to training individuals in biblical principles to become better leaders in their homes, companies, churches and communities. Earlier this year I watched Don receive the Sun-Sentinel Excalibur Award for Leadership. Afterwards I introduced myself and congratulated him. He thanked me and immediately escorted me over and introduced me to each member of his team. He let me know how important each one was to the success of his company, and to him personally. He let his associates know that I was a Vistage chair and told them that what I did for a living was important. In less than a minute, he had deflected the congratulations I was giving him, and turned it into an opportunity to let those of us around him feel better about ourselves. We mattered. Who has influenced you? Who makes you a better “you”? I’d love to hear about the people who serve as your role models on how to reach a community and impact lives. I have to say, your posts shine a bright light of hope through all the chaos, turmoil and bad news bombarding us daily. I always feel I have met each person you highlight in person through your stories Thank you for introducing us to Don. I think he might be one of God’s special angels sent to Earth to make a positive difference in so many lives less fortunate. What a remarkable resume and person! Several points that struck a chord- Don shows us how stating our purpose clearly helps him to connect everything he does to that stated purpose; his sharing the praise offered to him with everyone else around him. God Bless him. We can all learn some valuable lessons from him. Very inspiring! Kathy, Don is one of those rare human beings who makes this world a better place. You’re right about how his life purpose helps him connect his time and activities to who he wants to be and what impact he wants to make. When you define your life purpose based on what God can do through you and make loving other people a daily priority – it is amazing what can result. I’m glad you got the chance to “meet” Don! Thanks for writing such a clear picture of who Don is. I grew up with him in boarding school in Nigeria, in his class, and consider him my brother. Even in growing up, Don was motivated and worked hard to be the best runner, soccer player, basketball player/athlete, musician, motorcycle rider and mechanic, student, fun-loving kid, etc. and I only knew him at school. I absolutely love the fact that God sent him a darling wife who is such a great match! He and Sueann are great friends, a great leaders and team players together. His life is a consistent blessing to many of us who have known him through the years.